Are you ready to go on an adventure? 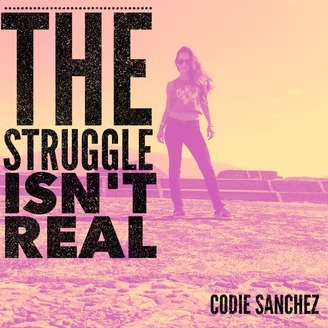 Let’s journey to find what fuels you and how to actually pursue it on The Struggle Isn’t Real Podcast. 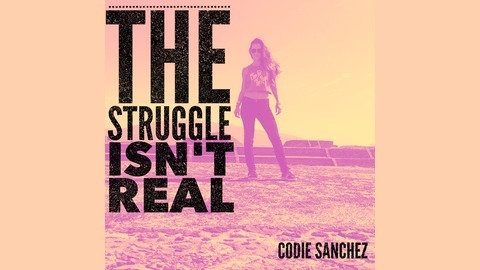 Entrepreneur, Speaker, and Investor - Codie Sanchez takes you on a weekly journey asking questions of elite achievers, strivers and doers that would be wildly inappropriate at a dinner party. Our goal each week is to remind ourselves that you were not put here to live an ordinary life, you were meant for something more. So we learn from those who have built before us how to reach for our extraordinary. Find out more on www.codiesanchez.com. Were you put here to live an ordinary life? To be common? My answer is unequivocally, NO. You were meant to follow your adventure. A conversation with the Legendary Indiana Jones of Finance. Best selling author, hedge fund investor, globe trotter (and a bit of my personal hero), Jim Rogers. I believe it was Thoreau that said, “I could no more name all the books I have read and yet, all the same, they made me.” Truer words for me have never been spoken. But occasionally there comes across my hands a book that I can name and its impact reverberates through my life for years to come. One such book was by the legendary investor Jim Rogers called, “The Adventure Capitalist.” I touched its pages more than a decade ago and it shaped my life in many ways. Jim is a bit akin to the Indiana Jones of finance, he's an explorer, a pioneer and he is not afraid to go against the norm. Basically, he’s anything but your typical investor. If the world economy gets better, commodities are a very good place to be in... even if the world economy does not improve, commodities are still a fabulous place to be. — Jim Rogers, "The Adventure Capitalist"
So you can see why I have to admit when I reached out to Jim to have him on this podcast I thought, “Well, this is a bit of a stretch, to say the least.” Then from the skyscrapers of China, where he currently resides, he responded yes. We spent an hour diving into some of the questions I’ve held close to my vest for a decade. Like how to develop contrarian ideas when the entire world disagrees, how did he get the guts to leave it all behind on Wall Street, what advice would he give to his daughters today, where is the opportunity of the future and what is a belief he holds dear that most of the world would completely disagree with him on. I challenge you if your desire is to travel the world lucratively, invest yourself, or simply understand the inside of one of the most brilliant minds in finance, listen to what Jim has to say. Maybe he'll change your life, just as he did mine. Wait! You're going to miss out! Sign up with your email address to receive all the hot stuffs. We don spam. That's rude.